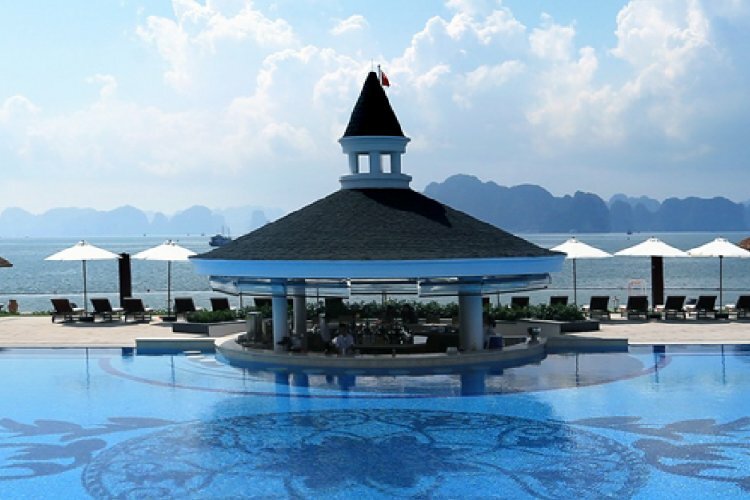 Located on its own private island of Dao Reu, Vinpearl Ha Long Bay Resort overlooks the spectacular limestone pillars stretching across Ha Long Bay. Escape from a world of usual to an extraordinary elegance and style. Offering a wide selection of beautiful rooms and suites, all contain modern facilities and provide high standard comfort. All rooms in the resort have a balcony or terrace with stunning views of Ha Long Bay or the lush landscape of the island. Manicured gardens and gorgeously formed outdoor pools that have swim-up bars divide the grand white resort from the blue sea. This elegant resort standing proudly on this elite island opens the doors to a memorable holiday in Vietnam.